Many of us call moving to a condo as downsizing or downgrading, when it often means you are moving up in the world. No matter the circumstances of the change, there are many positive changes you can embrace in your new living space. Beware: notifying your insurer with a change of address is not enough! Keep reading for Capital Insurance Brokers’ guide to adjusting your home insurance considerations when downsizing to a condo. When buying and moving to a condo, you likely have plenty of time to get your affairs in order before the date of possession. Along with changing utilities and forwarding addresses– contact your insurance broker! Your representative should help ease the transition between insuring a freestanding home to customized coverage for your condo. This is also a perfect opportunity to review your current provider and shop around for competitive pricing. Moving to a condo usually means a significant reduction in physical space, including external storage. As you pare down your belongings to fit this new life, it is important to reassess the valuation of your personal property insurance. Often you can reduce your premiums just by having less things! Also, consider specialty insurance for collectible, unique or heirloom items making the move with you. 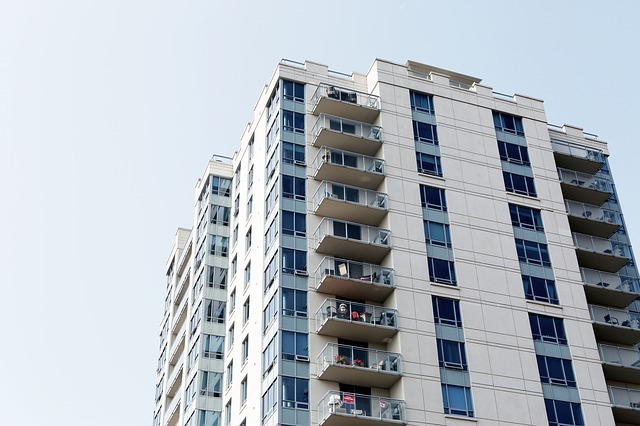 Since condominiums are a part of a larger complex, there is are much higher chances for liabilities to overlap. Damages can also be much more expansive and expensive because of the close proximity of properties and common areas. A good insurance broker should provide you with a policy that covers you in these eventualities, according to your specific condo board’s agreements or by-laws. In rare cases that a condominium corporation cannot uphold its end of the deal, condo insurance policies are usually equipped with some variety of “contingency coverage.” Should condo owners be left with overages or even the full cost of a loss, properly insured properties will be protected financially. These issues can be as wide-ranging: from simple repairs to complex issues such as embezzlement or condemned properties. Condos can be just as much a home as any house, but they are treated differently in the insurance industry. Due to their unique nature, you may overlook some consequences of condo ownership. If you are planning a move, downgrade or downsize contact or visit Capital Insurance Brokers today!